After eight years of swimming together, seniors Sarah Malloy, Rebecca Rogers, and Maddie Hadd will soon part ways. Receiving offers from three different schools, each will continue her swimming journey separately, but they will always be connected. Rebecca Rogers first began swimming at the age of five, becoming a member of her neighborhood pool’s swim team. Just a year later, Rogers began taking lessons at NOVA and decided to join their team. 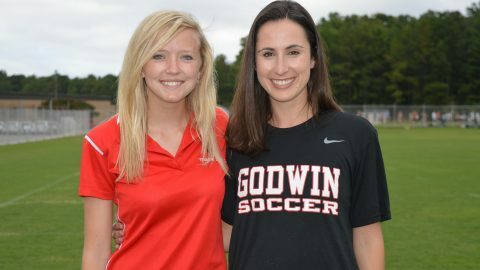 She has continued to swim for both teams and has swam for the varsity swim team at Godwin for four years. This year, she is captain along with Malloy. Rogers verbally committed to the College of William and Mary on Sept 23. Rogers’ parents attended William and Mary, and she has always wanted to attend the school. 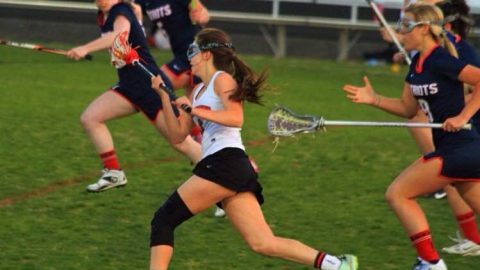 After looking into other schools and attending an official visit at William and Mary, Rogers decided William and Mary was where she wanted to be. “I was so thankful that I had the opportunity to attend my dream school while continuing in the sport I love,” said Rogers. Rogers is guaranteed a spot on the team for four years and will be provided with several advantages such as first pick of college classes, free equipment, and first pick on dorms. 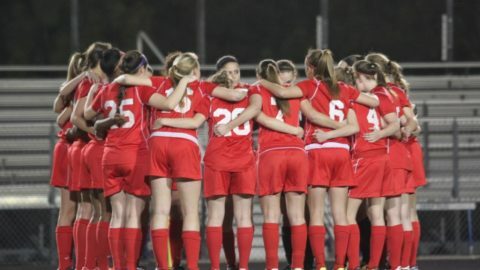 “My focus for the next four years is to help William and Mary win conferences and go to the NCAA’s,” said Rogers. “It is still hard to believe that the whole process is over. Every swim has led to this moment,” said Rogers. Swimming for 12 years at NOVA, Hadd has verbally committed to the Georgia Institute of Technology. “I’m in love with the city of Atlanta, and it’s one of the best schools in the country. Having an opportunity to swim and educate myself at Georgia Tech is incredible,” said Hadd. 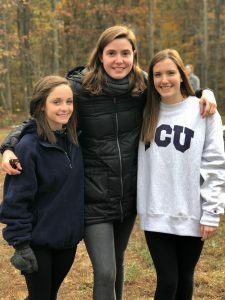 After going on a recruiting trip and sitting down with the head coach, a former Olympic swimmer, Hadd realized that there is no other school she would rather attend. Hadd knew at a young age that she would be swimming in college and says that the sport has given her many opportunities to travel and meet new people. “I already have a large team of friends at a school I’m not even attending yet – that’s a crazy concept to me,” said Hadd. Georgia Tech hosted the Olympics in 1996, and the swimming facilities were improved. On her recruiting trip, Hadd was able to stay in the former Olympic Village for several nights. She hopes to qualify for the Olympic Trials in the next few years. Swimming for the past 13 years, Malloy has recently committed to swim at Texas Christian University in Fort Worth, Texas next fall. Malloy began swimming for the Wellesley Whitecaps and later joined NOVA, where she has swum year-round since she was six years old. Malloy received an athletic scholarship along with an academic scholarship. “I have always really liked the campus, and I love the state of Texas. 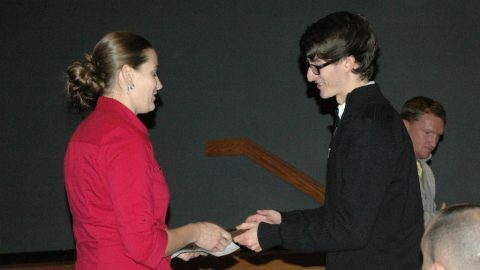 The atmosphere along with the overall school environment made it feel like it was the perfect fit for me,” said Malloy. 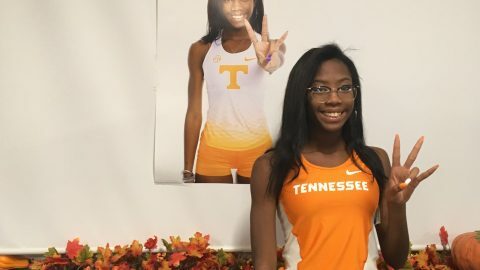 Since Malloy’s sister also attends the university, Malloy met the coaches when she went to visit her sister. Malloy committed verbally on Oct 23. “He [the head coach] told me that I could think on his offer and call him back later, but I asked him if I could commit right then. I knew that I wanted to attend Texas Christian University,” said Malloy. Malloy’s goal is to continue to improve and qualify for the Olympic Trials in 2020. Swimming at 4:30 every morning and lifting weights three times a week, Malloy, Hadd, and Rogers have been best friends for eight years. Traveling for many swim meets and supporting each other, they were able to bond on and off the pool deck. “We are especially connected when we struggle to manage it all. Whether it be from exhaustion, a difficult class, or a hard swim set, we all have each other’s backs and support each other no matter what,” said Hadd. “When I transferred from a private school to Pocahontas, I did not know anyone except for Maddie and Sarah because of swimming. We’ve always been there for each other throughout all of our training,” said Rogers. Although the trio will be attending different schools, the bond they have made through swimming will never be broken.